NOTE: All multiplayer servers for WWE 2K15 will be shutdown as of 5/31/2016. After that time, all game functions requiring online servers will no longer function. The Games on Demand version supports English, French, Italian, German, Spanish. 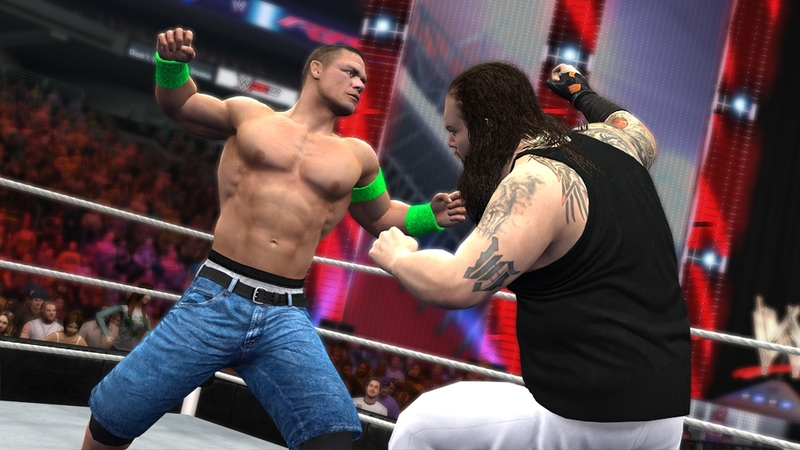 WWE 2K15 ushers in a new era of WWE video games! The first wrestling game to be featured on Next-Gen platforms, WWE 2K15 will introduce the most authentic WWE gameplay to date, closer than ever to what fans see on WWE TV. With a host of gameplay advancements and to-be-announced features, WWE 2K15 will bring the atmosphere of WWE to your home! For the first time ever, play as the iconic Sting, this year’s pre-order launch exclusive! Feel every blow, hear every impact. WWE 2K15. Feel It. If you own the WWE 2K15 Showcase Season Pass, DO NOT purchase this content here as you will be charged again. Game required; sold separately. Xbox Live free membership required. Relive the heated Randy Orton and Christian rivalry with hours of new 2K Showcase action in One More Match! Battle through epic matches as their story is told through your gameplay and historical WWE footage. Also get playable WWE Superstars from 2011: Christian, Randy Orton, Edge, Mark Henry and Sheamus and 2011 arenas: SmackDown, Extreme Rules, Over the Limit and Capitol Punishment.